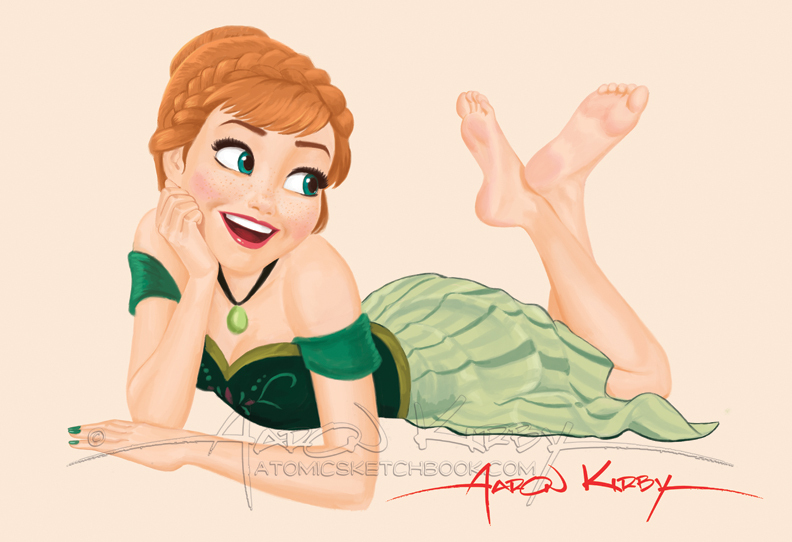 Here’s a recent commission of Anna from Frozen. I think that she is the coolest character from the movie, and it’s nice to draw someone other than Elsa… These girls are definitely becoming some of the most requested Disney characters. And the good thing is once you learn to draw one you can draw both, they have the same face (minus the hair and freckles)..! This one is a bit more on model than my others, which made it a fun challenge..
(edit) Just added a big sis Elsa ..